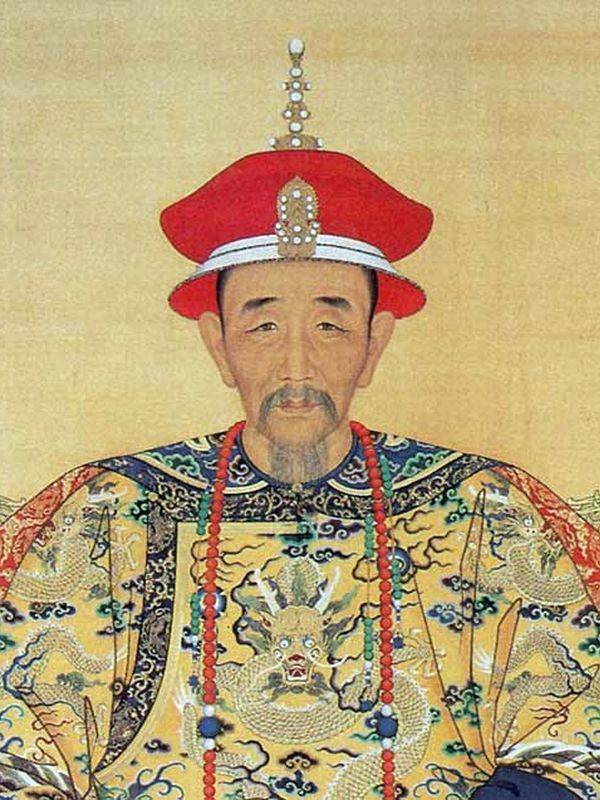 Portrait of KangXi, Chinese emperor who lived in the Forbidden City. It was in 1661 that KangXi ascended the throne, but he was then only 7 years old, so he was under the regency of his grandmother, Empress Dowager Xiaozhuang. At the age of 13, he manages to dismiss the regents who supervise him and henceforth administers his own empire. 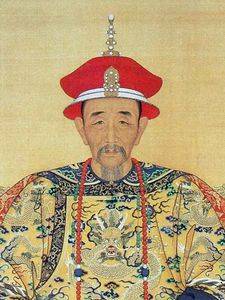 He quickly became expert in public relations and did his best to be well seen by his people despite the fact that it is original of a Manchu dynasty, ie seen as foreign to China. However, he manages to repress the first revolts that appear in the country, especially the rebellion called "Three Feudataires" (1673-1681) of the provinces of Quangdong, Fujian and Yunnan. At the same time, he negotiated with China the borders of China on the Amur River (Treaty of Nertchinsk, 1689) and undertook (in great pomp and surrounded by an imposing suite) six inspection tours in the regions of Lower Yangzi, the birthplace of Chinese culture. These visits allow him to become familiar with local living conditions, reaffirm his authority with local officials and publicly demonstrate his interest in all his people. Being of Manchu origin as all his dynasty, he must prove to his people that he is the guarantor of the Chinese traditions and for that he will have to quickly be made love of the mandarins, a force of great power in the empire because they direct his administration. He has the idea to go through literature to convince them to follow his orders because this discipline was undoubtedly the most adulated at the time. Emperor Kangxi therefore launched several literary projects of great importance. In 1679, he organized a contest for the recruitment of fifty scholars who were entrusted with the writing of a History of the Ming Dynasty. 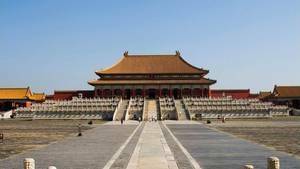 The rewriting of the history of the previous dynasty, sponsored by an emperor of another dynasty - foreign, in addition - and carried out by Chinese scholars was the proof that could wait the mandarins to be convinced of the good will of this < a href = "Life-of-the-Emperor.php"> Emperor . Moreover, the latter also ordered a dictionary that is nowadays called "Kangxi zidian" containing 49,000 entries, as well as an encyclopedia of 5,000 volumes, the "Gujin tushu jichen", which will be published after his death. This is how KangXi obtains the servility of mandarins, and hence of his administration. 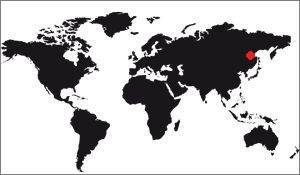 Among the great works of Kangxi, we must mention the map of the Chinese Empire, he entrusts to the French Pierre Jartoux. This character was a Jesuit, sent on the spot to evangelize Chinese provinces. The map he supplied to the emperor was made between 1709 and 1718 and allows the monarch to publish the first cartographic Atlas of China (named "Hangyu Quanlatu"). In practice, it is engraved on copper plates by Matteo Ripa, a Neapolitan missionary. As in the case of literature, China's development through these cartographic projects allows Kangxi to prove to his people his full belonging to China as well as to place himself as a superior, literate, cultured and pious being. The power he acquired during his reign gave him a certain ascendency over his enemies, and an international aura that would reach the court of Louis XIV. Kangxi is also interested in religion. He learns the precepts of Tibetan Buddhism, then Confucianism. Convinced by the texts of his two religions, he makes himself a patron of the faithful and favors their propagation. In 1670, he became more involved and defined 16 maxims based on the teachings of Confucius, maxims that will become references during his reign as he spreads them to his people through the armada of officials he has at his disposal. They are responsible for organizing public meetings for their readings and comments. Through these maxims KangXi sought to highlight family values: respect for ancestors, generosity, frugality, work and payment of taxes (well ...). Thanks to his involvement in the typically Chinese religions, Emperor Kangxi proves that he respects his commitment to the God of Heaven, of which he is the Mandate of China (according to Chinese cosmology), despite his Manchu origin. He shows that he is guardian of the traditions of previous dynasties, and in this it is a beautiful proof of intelligence from an emperor of foreign origin. In a more pragmatic way, in order to govern, he approaches advisors from the Jesuit missionary community (in particular Ferdinand Verbiest and Tomás Pereira) whose important scientific knowledge is discovered. He will appoint them one after the other to the direction of the Bureau of Imperial Astronomy, a position that is important. The Emperor Kangxi dies after having chosen to succeed him Prince Yingzhen, his eleventh son, who will be inducted in 1723 under the name of Yongzhen.